Media relations is typically a key part of a good technology PR program. One thing entrepreneur-led startups and enterprise technology businesses have in common is a desire to generate positive earned media coverage in widely read publications from TechCrunch to BloombergBusinessWeek. Here are our best tips for maximizing public relations success for tech clients, straight from our Tech Practice leader Chris Harihar. Don’t call. Email. After all, these are technology people, and many are digital natives. If you don’t hear back from the journalist, follow up just once. Nothing can be gained by pestering writers – except resentment. PR pros should wait at least 24 hours before the follow-up message. You’re not the only pitch in the inbox, after all. Tech journalists don’t want to read a thinly veiled advertisement for your company or product. They want good stories that are relevant to their readers. 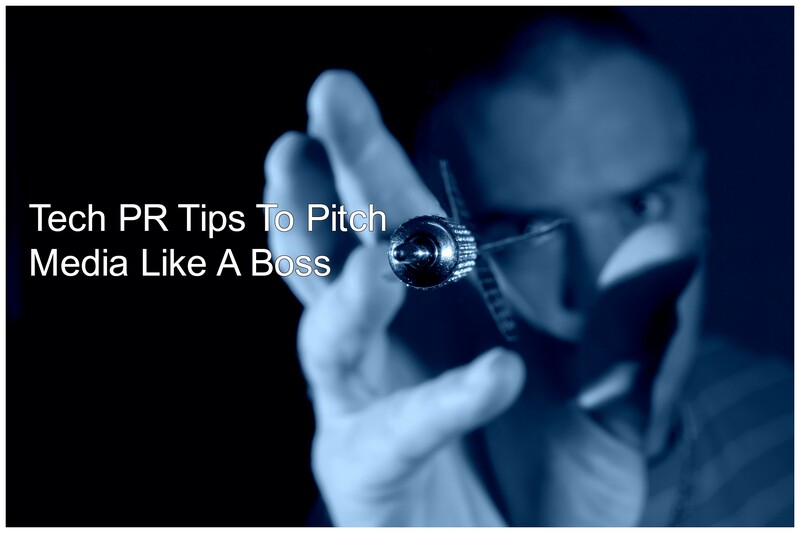 Your pitch must quickly and concisely show them the value of your story to their audience. Don’t ask them to have coffee with the CEO of your client company unless you outline why the story matters to them. Tech media pitches need be no more than three lines. Get right to the point, and do it without ambiguity. Craft a concise, compelling subject line that hooks the reader. Tech writers get an email a minute, so they will judge its value in seconds. Save your novella for friends and family. There’s no better way to forge a bond with a journalist than to support his or her work. Share non-self-promotional stuff about other companies that you think will be of interest to the writer, not just your own clients or company. Also, tech PR professionals should also be okay with being an industry expert quoted in stories; remember, good PR influences journalists, too! When pitching tech media, explain why your story matters. Give them some big-picture perspective. Tie your story to current category trends, themes, or industry conversations. Connect it to the reporter’s previous work if possible. This will pique their interest and give them a roadmap to your story or the next one. We know, every early-stage tech PR manager dreams of getting his or her company’s name into TechCrunch or The Verge. While a coup for any young company, it’s not the only way to get your story out. A positive piece in a relevant trade like AdExchanger or a targeted publication like CIO can not only reach the perfect audience, but it may influence larger publications. Some approach the media relations process like a sales person looking to close the deal. We prefer to treat tech journalists as collaborators. Go to events where they’re speaking on a panel and participate in the discussion. Introduce yourself, ask questions, offer informed opinions. “Touch” them before you pitch by engaging with their social media channels. Share non-self-promotional stories or quotes. Show that you respect the demands of their work, and that you are an equally professional PR person. They will treat you as such. This is media relations 101 review, but it cannot be stressed enough. It’s never a good idea to carpet- bomb the tech mediascape and hope for a hit. Target those journalists who regularly write on the specific subject of your story. Get to know their reporting and follow them on social media. Think of tech reporters as people with interests that you can appeal to in your outreach. Research. Research. Repeat.